Happy Monday, Friends! I appreciate all your sympathy and empathy regarding my dalliances with a “temporary BFF” (click here). The weekend came and went in just a flash! I hope you had a good one. 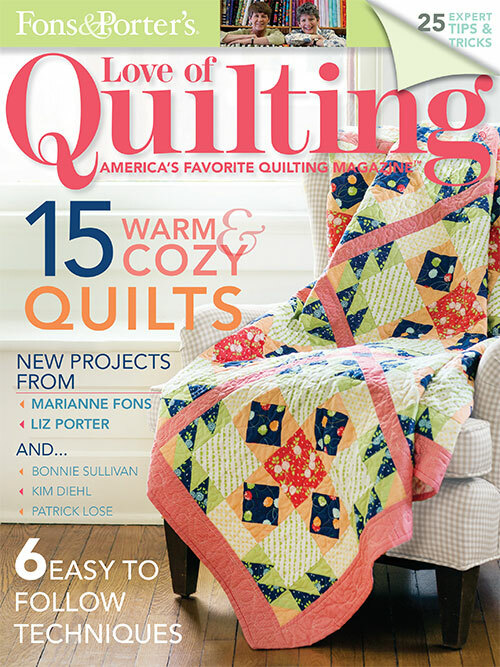 I am happy to share with you my Hurry Home quilt that is featured in the January/February 2014 issue of Fons & Porter‘s Love of Quilting magazine. 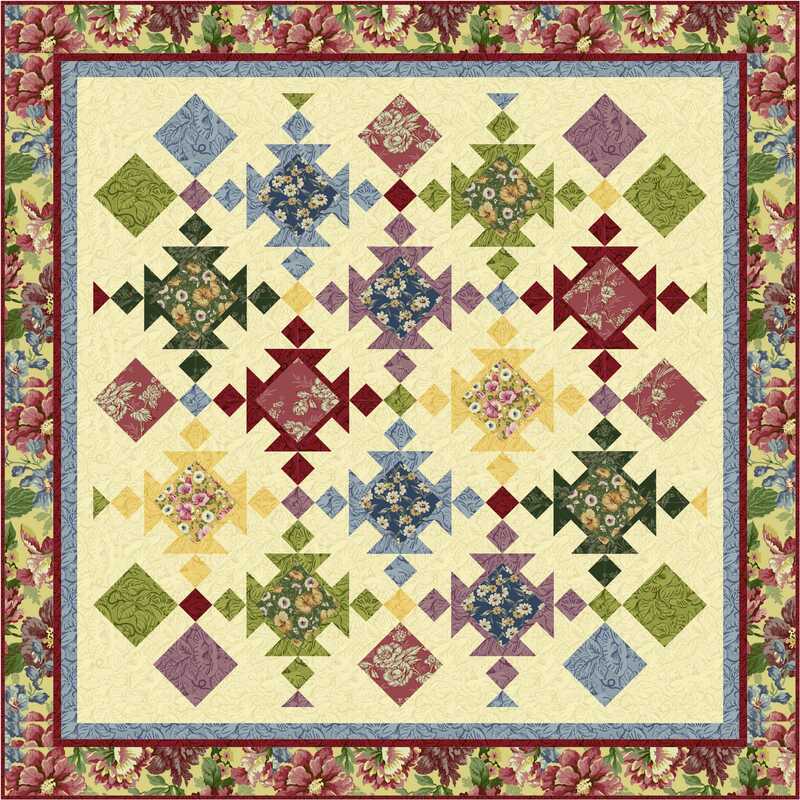 The colors of this quilt are inspired by the colors in the large print fabric used in the outer border. 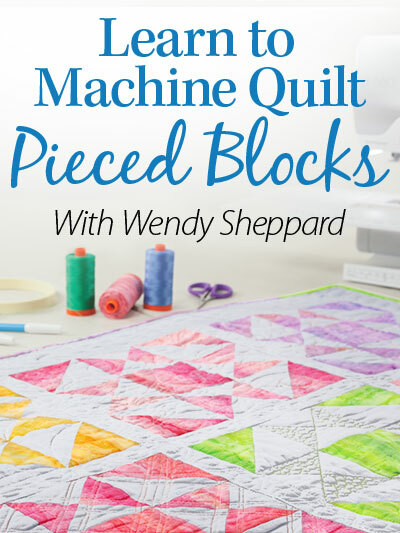 This design concept might come in handy when you have a large print fabric with which you don’t know what to do — use it in the outer border, and then gather fabrics for the quilt center that have the same colors as the large print fabric. 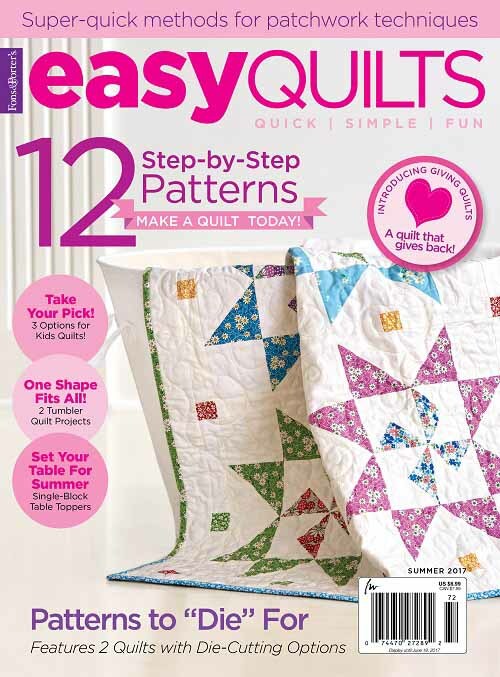 The fabrics are from Thimbleberries Sweet Home collection, released by RJR Fabrics. 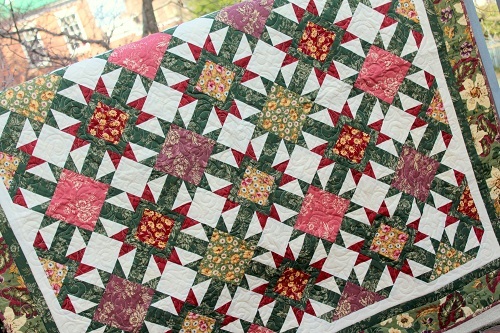 This quilt is designed for piecers, if you like to piece!! 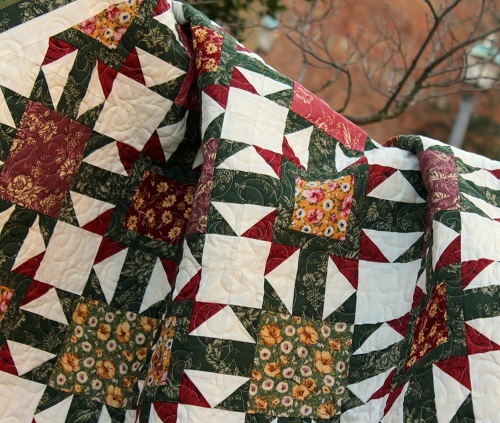 I am blessed, my “piecing elf” Sherry McConnell actually pieced this quilt top for me! 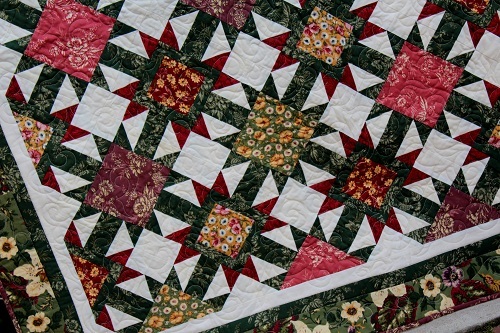 Quilting was done with my allover Jester’s Hat motif (click here, here and here to read about Jester’s Hat), using Aurifil Mako 50 Cotton thread over Hobbs Tuscany silk batting – my fool proof combination of thread and batting when it comes to free-motion quilting. I hope you have enjoyed Hurry Home. Being out and about during the winter time always makes me want to hurry home! What makes you want to hurry home? 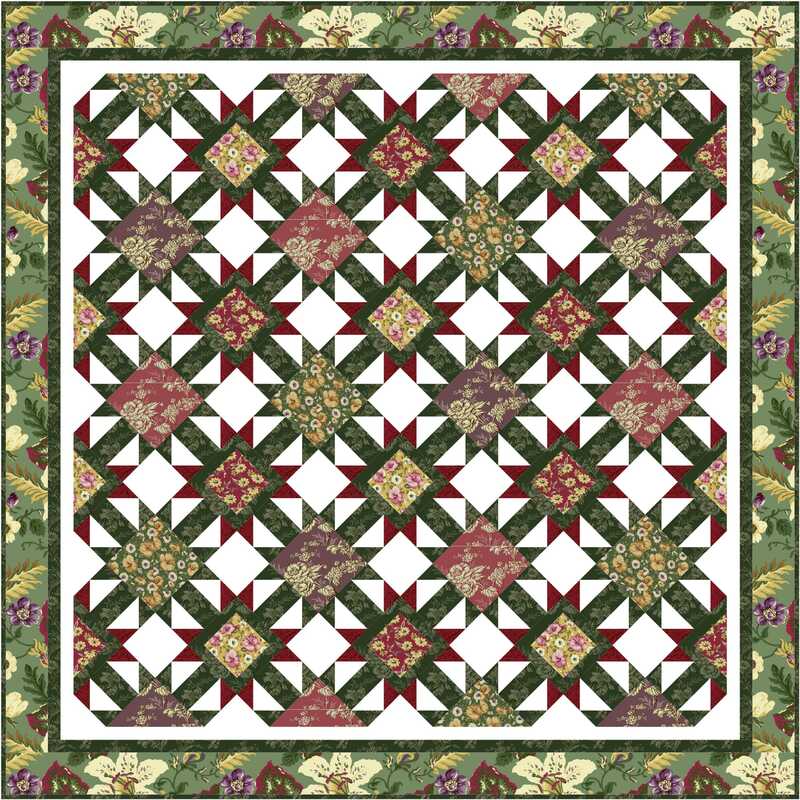 This entry was posted in Quilt Pattern, Quilting, Quilts & Projects: Published, Quilts: Pieced and tagged Fons & Porter Love of Quilting January/February 2014, RJR Fabrics Sweet Home, Wendy Sheppard Designs. Bookmark the permalink. Happy New Year, Wendy. 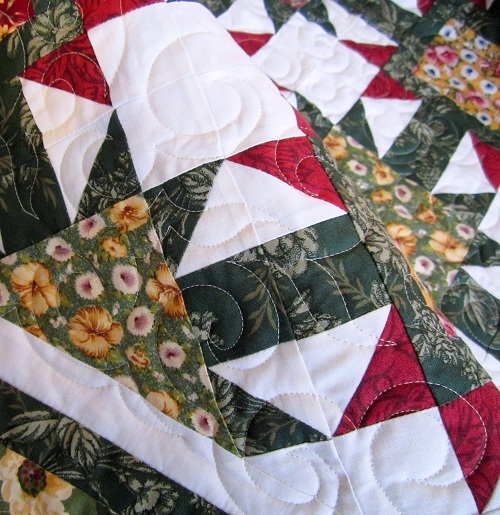 It’s a brand new year now and you can put your seam ripper back in the drawer. Everything will be all right. 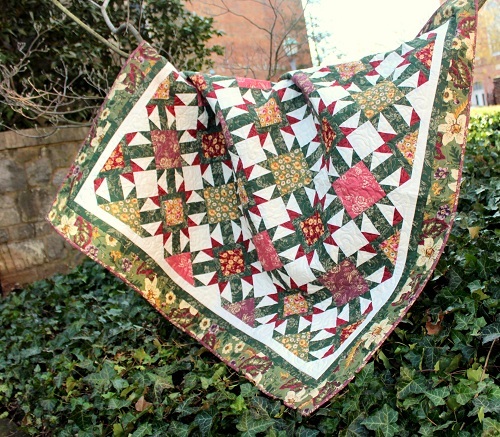 I can’t help admiring this quilt–it is absolutely gorgeous. I have many beautiful florals that I love so much and you have given me a good idea. Thank you. Gorgeous! I picked up the magazine from a store. 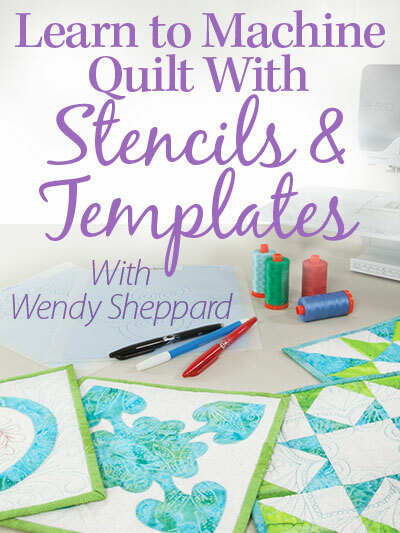 Lovely again, Wendy! 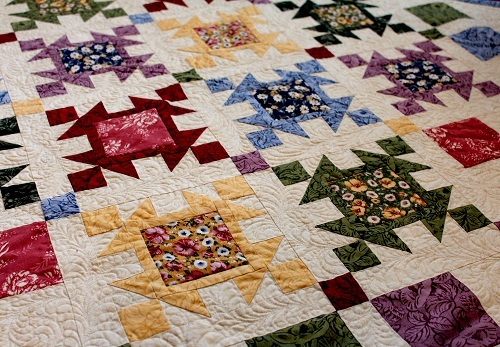 But, that is all I expect from you…loveliness in quilts and in your soul. I hurry home for Jeopardy! Take care! I think the winter storm we are being blessed with today and tomorrow is headed your way. We are to get 6-9″ here in Wichita. Very nice Wendy. Love that first photo of it! I love your Jesters hat pattern. Just beautiful Wendy! 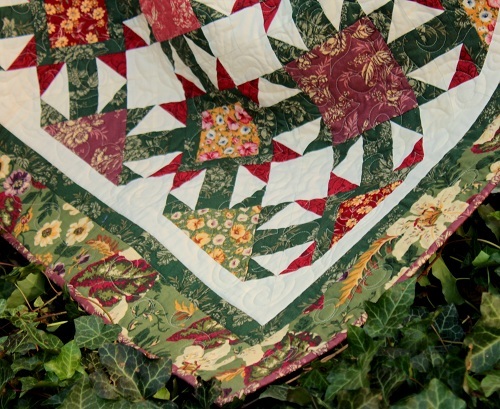 Love the colors in this quilt – so pretty. 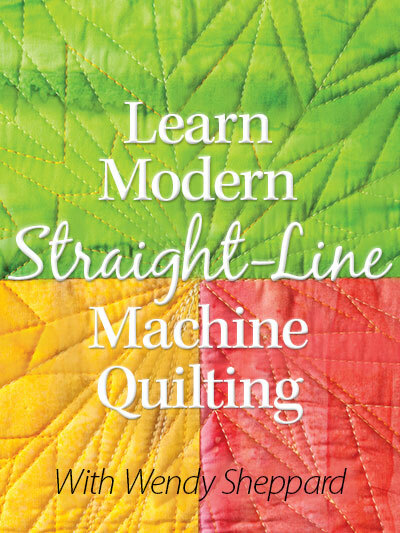 I like to hurry home so I can get stitching! Woohoo! 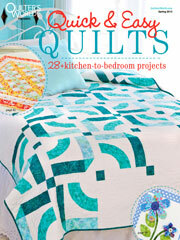 Congrats on your quilt being published. 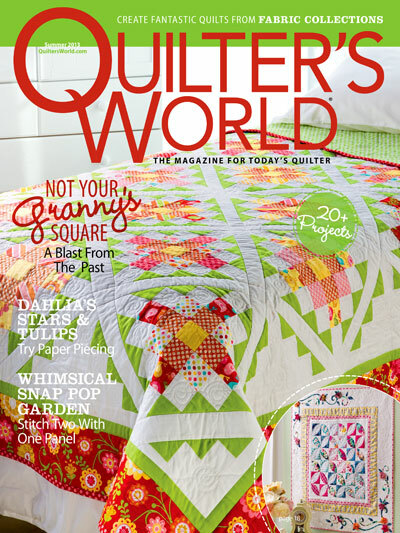 It is lovely and your quilting is wonderful. I loved all the feathers on version one.